Our balanced, varied and creative menus are prepared daily using fresh, seasonal ingredients. The aromatic herbs which add flavour to the dishes are grown in the hotel’s garden. Our lunch menu offers a choice of three mains to suit everyone’s taste. 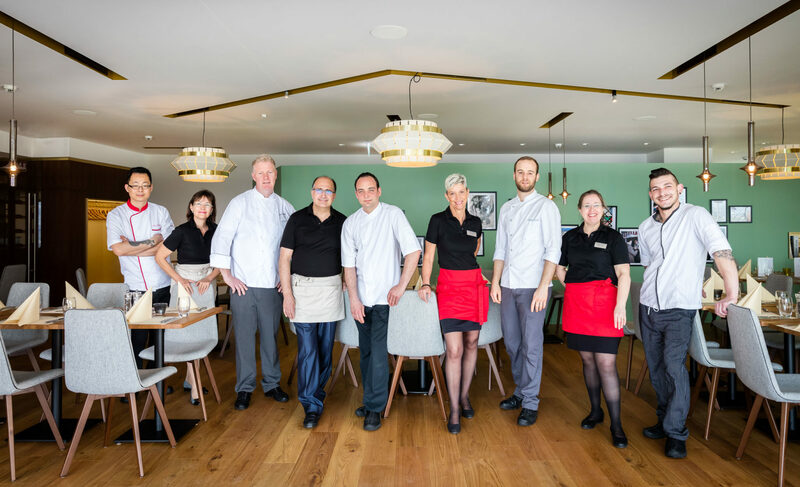 Slow-cooked dishes, sauce reductions, housemade vinaigrettes, housemade jams, daily pastries, contemporary verrines and canapés – we are keeping food traditions alive. As your satisfaction is our top priority, our team will endeavour to make your meal one of the most enjoyable times of the day. We use local suppliers wherever possible and products from humane farming methods and sustainable fishing. 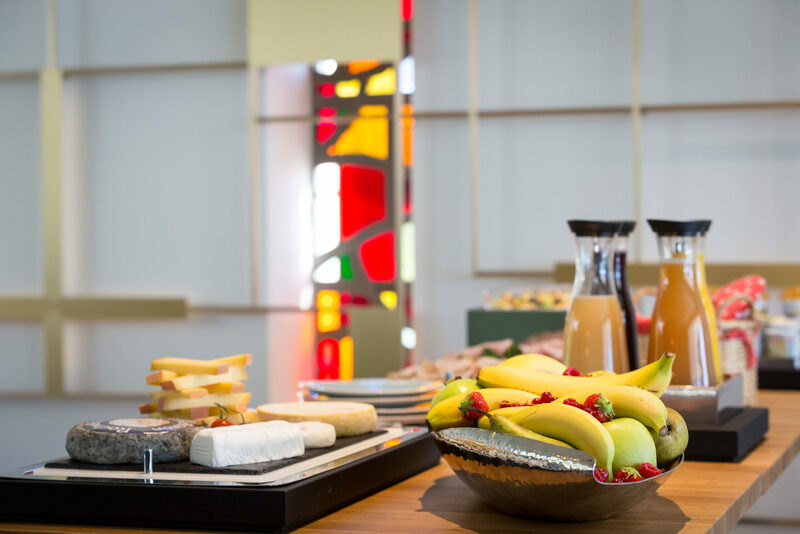 At Léman Hotel, our breakfasts, coffee breaks, juices, teas, herbal teas, fresh fruit and other products are organic and fair trade. 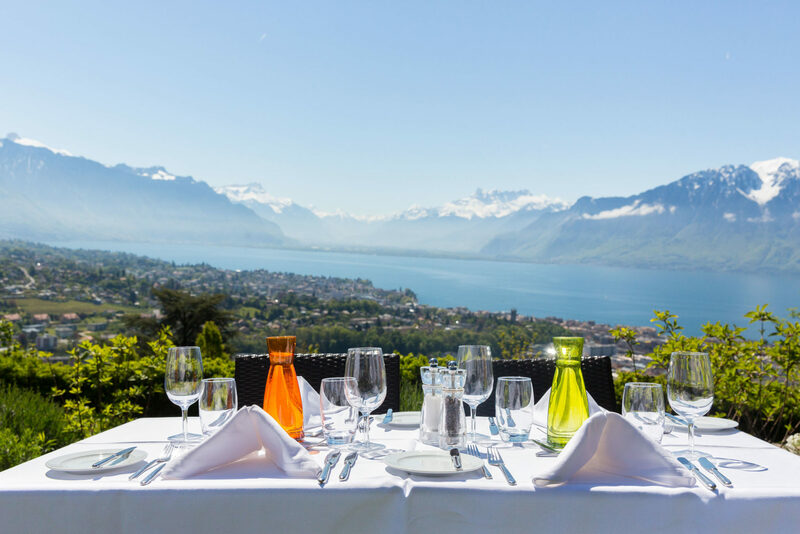 Come and share a delicious meal and enjoy views that are unique in the world, with Lake Geneva and the Alps as the backdrop. Our restaurant is appreciated for the quality of its service as well as its food. Refined dishes, verrines, blends of spices and aromatic herbs, regional wines, seasonal fruits and vegetables, artisan ice creams and homemade desserts are typical of our skills. Our decision to offer seasonal produce helps conserve the environment while also upholding the traditions of delicious, regional cuisine. We prepare balanced and healthy dishes which we serve with a smile, either in our restaurant or on one of our terraces. 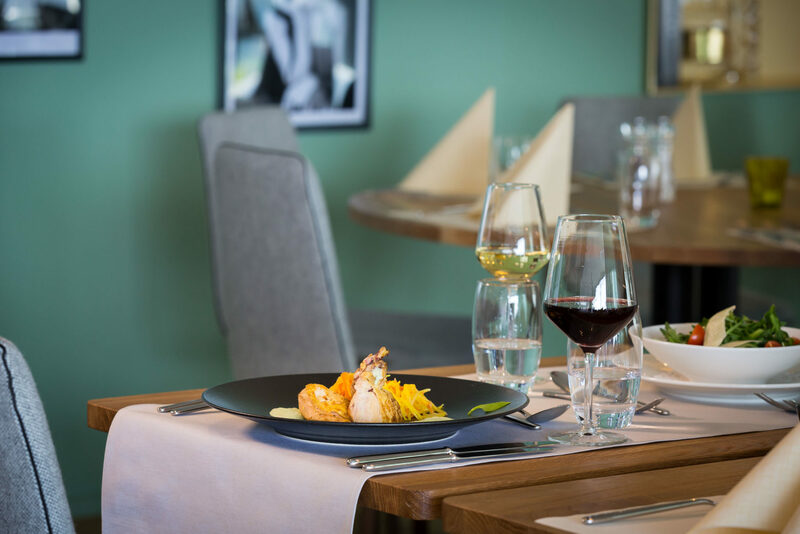 Whether a business lunch, special evening celebration or a special banquet, our Chef and his team take great pleasure in preparing tailor-made, creative menus for you! Click on the link below to view this week’s menus, devised by our Chef and his team.